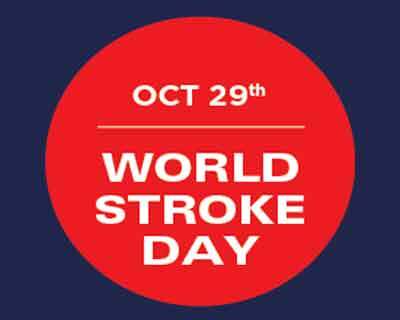 Chennai: World Stoke Day 2016 brings to the forefront the knowledge that “Stroke is Treatable”. On the occasion of World Stroke Day, it is important to spread awareness about the disease and the essential practices that can help control the damage it causes. Stroke is an attack caused by the interruption of the blood supply to any part of the brain. 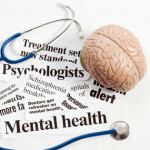 When blood flow is denied to the brain for longer than a few seconds and the brain is deprived of blood and oxygen, brain cells can die, and the abilities controlled by that area of the brain are lost. The onset of ischemic stroke which restricts blood and oxygen flow to the brain, can damage 1.9 million nerve cells every second. Head or neck trauma increases the chance of ischemic stroke three fold among patients younger than 50. If the stroke is detected early, effective treatment could be given in time to prevent long term disabilities. “Stroke patients’ can be saved to live a life after stroke by recognizing the symptoms quickly and providing proper medical care to the patients within 4½ hours (window period). When the condition is diagnosed early, the prognosis is usually good and necessary brain surgeries and complications with them can be avoided. Timely detection and treatment can save limbs and lives. In this case the patient gradually improved with intensive care treatment by Fortis Stroke Team and was discharged home walking with support and speaking as usual. This case highlights the importance of high index of suspicion for stroke after high impact trauma “added Dr. Sathish Kumar. Stroke detection through changes in Face, Arms, Speech and Time (F.A.S.T) can help provide timely treatment to the patient preventing serious brain damage. Uneven Face like drooping of the mouth, one Arm hanging down and slurred Speech are some of the common symptoms of a stroke and Timely treatment can keep the effects of stroke under check. A life can be saved if prompt action is taken and the patient is rushed to a hospital with a CT scan facility immediately after the stroke is detected.